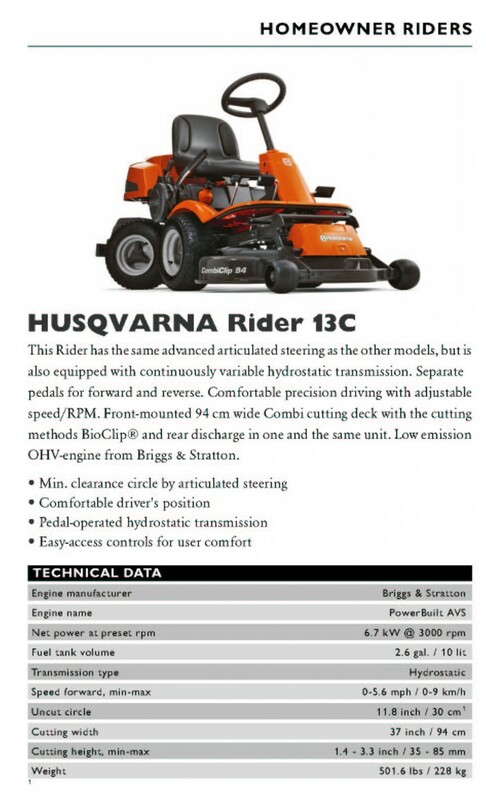 A Rider from Husqvarna can go almost anywhere, and has an extremely small turning circle. 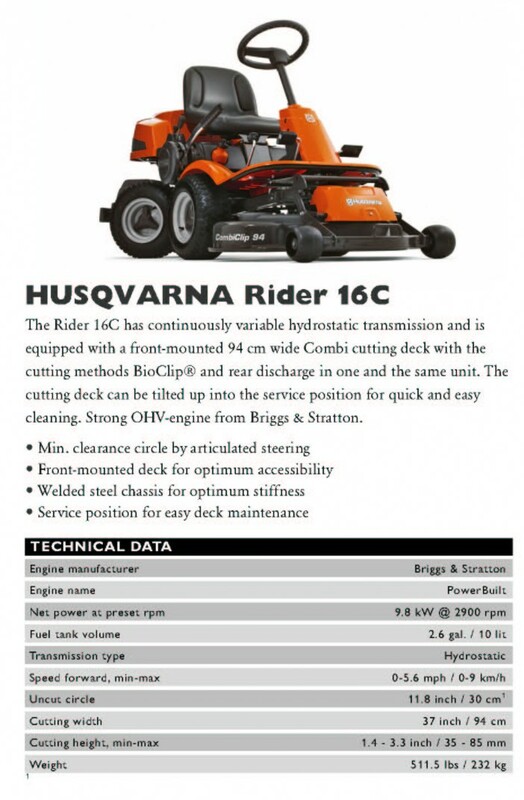 It’s both easy and fun to drive, whether it’s fitted with a cutting deck, broom, sweeper or one of the many other attachments. As always, our construction starts with you. This is obvious for our front-cutting Riders. 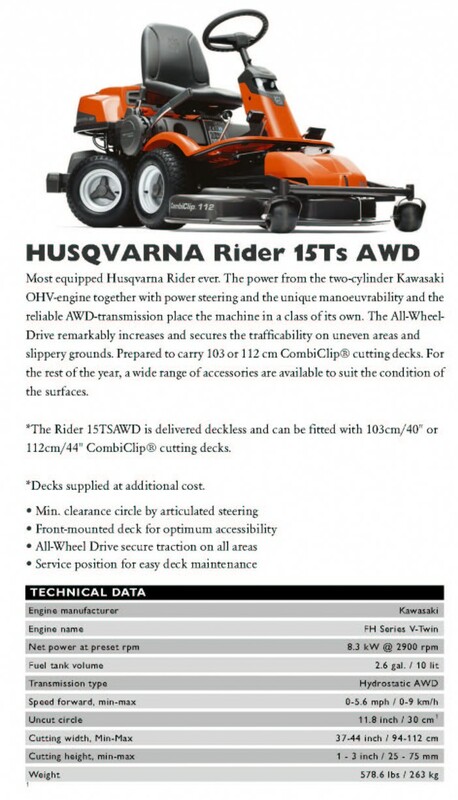 With a front-mounted cutting deck, you have total control over your working area. 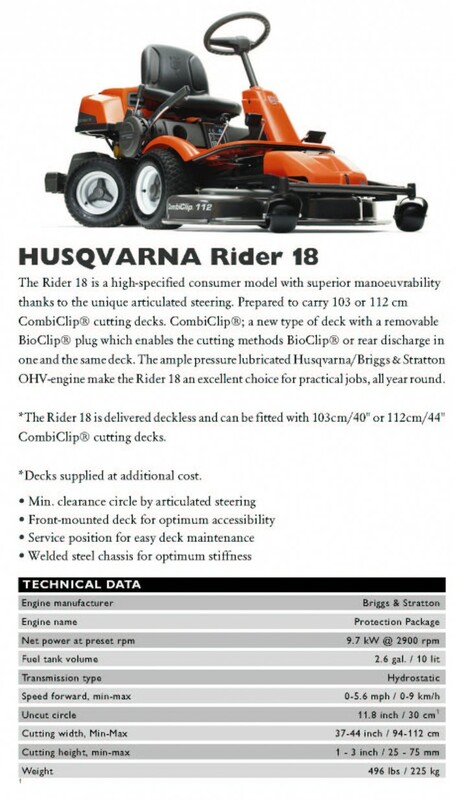 The deck allows you to reach under bushes and cut close to fences and walls. The unparalleled manoeuvrability from our unique articulated steering make our Riders extremely easy to handle. This means you work more efficiently, even when there are obstacles in your way. In short, when working with a Rider you get perfect results, faster and with less effort.